Writing fiction that makes women laugh while they recreate their lives. See my books here. 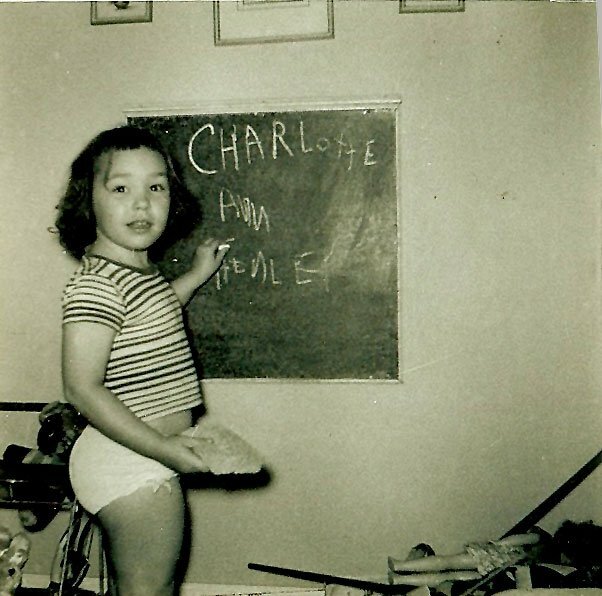 I began writing when I could hold a piece of chalk and scribble my name–although I sometimes mistook “Chocolate” for “Charlotte” on the sign at the drug store ice cream counter. If you can remember drug stores that sold ice cream by the cone, you know how old I am. When my third-grade teacher allowed me access to the fiction room at the school library, I discovered Louisa Alcott and Robert Heinlein, an odd marriage of the minds. These two authors, along with many others, have had the most influence on my desire to share my point of view with the world and to explore how the world might be made better. I had already read Black Beauty, Alice in Wonderland, and a good bit of King Arthur and Robin Hood. Having (mis)spent my youth teaching English in high schools and junior colleges, I have had a few publications, first two SF story cycles of six pieces in a space opera anthology Port Nowhere and now, my first novel, Maven Fairy Godmother: Through the Veil. Maven won the 2014 Science Fiction and Fantasy Award from Sharp Writ Books, and an honorable mention for Novels for Adults from the National Federation of Press Women. I won an Eppie for my poems in an anthology for children, The Thing in the Tub. My other credits include an article in Circle Sanctuary magazine, and a meditation in the Upper Room. I collected stories from the Maven universe into Maven’s Fractured Fairy Tales, and PumpkinEater, which are available on Kindle, other ebook formats, and in paperback. 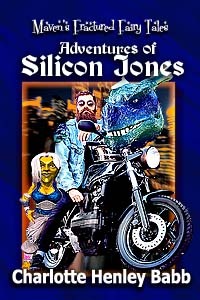 A new Maven Universe book, Adventures of Silicon Jones, has recently been released. In addition to fantasy, I’ve written a few Southern Fiction genre books: Walking Off Heaven’s Shore, Just a Smidgen of Magic, and In the Still Midwinter. Moving beyond the first half century of my life, I have begun writing the sequel to Maven, and a steampunk novel set in an alternate timeline for 19th century North America. I am working on collaborating a series of stories in a shared science fiction universe to explore the clashes in societies between an engineered society and a lawless anarchy. In the meantime, I’ve fallen prey to steampunk and the gears are turning. I bring to any project a number of experiences, including work as a technical writer, gasket inspector, cloth store associate, girl Friday, and telephone psychic. I finished grad school hbrid-online, a new MA in Humanities: Mythology & Education, which required semi-annual trips to California, giving me more perspective on my Southern heritage. I study mythology and psychology to deepen my work with themes from ancient sources. Sharing perspectives with people from across the country gives me time to delve into the cultural notions that are as invisible to us as water is to fish! Now to get back to writing…or making my next steampunk costume or painting watercolors or (ooops!) Netflixing. I added my maiden name back into my official name on my second marriage, and when I was widowed, I kept it. 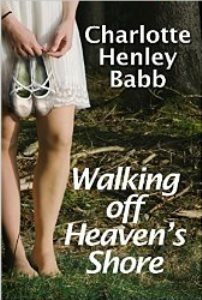 I like being a “B” rather than an “H” or a “W”, and while according to the all-knowing Internet, there are about 20 Charlotte Henleys and Charlotte Babbs, there is only this one Charlotte Henley Babb. Al, I don’t know.You might contact Holly McClure on St. Simon’s lsland. She’s on facebook and has her literary agency, Sullivan Maxx. I don’t write mystery as such, but I’ll happily send you a copy of Maven, and you can see if you think you can promote her. Hi Charlotte H. Babb, thank you for posting about Charlotte E. Babb. I was once more researching her today and stumbled onto your great posting. I have a Babb tile painting, once owned by my mother, and I’ve managed to link it to a show in 1873! Very excited. I wish there was more information to find on Charlotte E. Babb. I’m so happy to connect with someone who has some of her artwork. I think I linked to every page I found, mostly art dealers. You might try Google Scholar, as I found a lot of stuff that’s just not available anywhere else. I didn’t dig very deeply, but it’s a great starting place. I’m always interested in new friends. I haven’t been on brainiack in years. Thank you for reading! I really appreciate you and your time. I hope to see you next week. If I want to think of myself as progressive and liberal, I have to keep an open mind. HAHAHAAHAH!